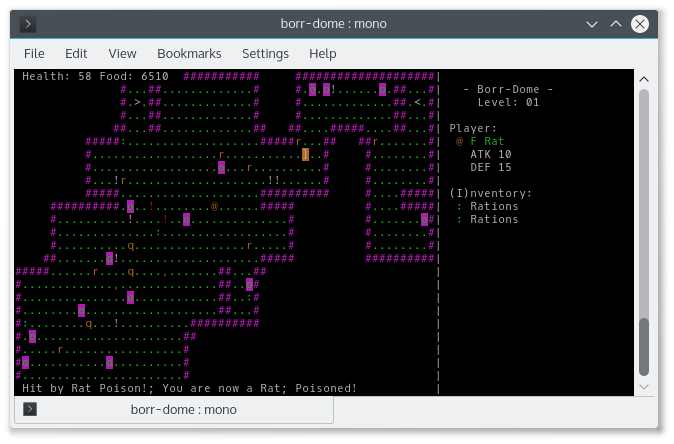 A classic Nicole project from 2012 now available on itch.io! 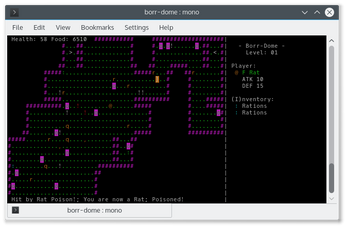 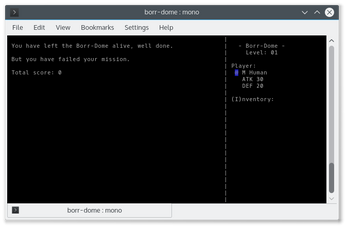 Borr-Dome is an action "roguelike-like" inspired by the famous genre of games like Rogue and NetHack. 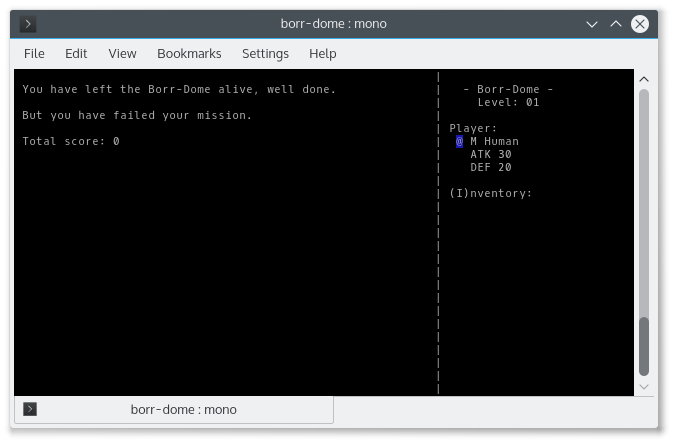 A fairly simple set of rules, Borr-Dome eschews a system of leveling up for a system of changing the player and the world around them. 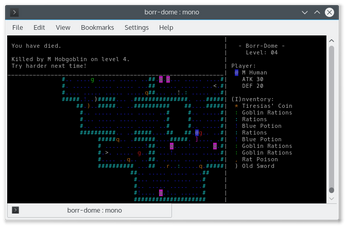 Beat the game by slaying the three dragons deep within the caves, or merely try to escape with your life... it's up to you!